Aging aside, roof damage tends to be something that can generally be avoided when simple, annual maintenance and inspections are carried out. However, when they are not, your roof can rapidly deteriorate. Dealing with any repairs that result from poor maintenance can end up being costly, aggravating, and time-consuming. In order to stay on top of your roof, always perform your due diligence for annual maintenance, and keep an eye out for these warnings signs of roof damage. One of the most obvious signs of damage on your roof is from water spots. If any of these develop along your ceiling, it means there is most likely an area that’s allowing moisture to seep it. This is something that is easy to deal with it if it’s caught in the early stages. However, if it goes unnoticed or is ignored, a simple moisture problem can develop into a bigger nightmare if it’s left to fester. Moisture can lead to mould growth and rot structural support beams. Always do an inspection each year of your ceilings and areas that aren’t always visible, such as the attic. When you climb up to clean the gutters, take a scan over your roof to look for any shingles that are starting to buckle or curl at the edges. 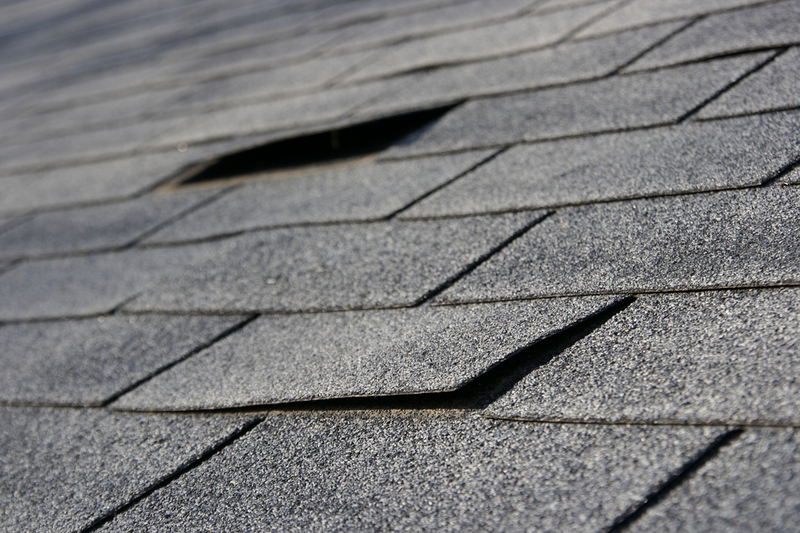 Wear and tear over time can cause moisture to seep beneath the shingles, causing them to lift and curl. This can also be a sign of poor ventilation, or that the installation of the roof was done poorly and incorrectly. Granules are the coated rock specs that are found on the surface of the shingles. It’s quite common for these granules to shed or dislodge, especially after a new roof has been installed. But this should only last within the first year or so of the installation. Continuous missing granules can expedite the deterioration and lifespan of your roof quite significantly. So if you notice dislodged granules over an extended period of time, you might want to consider having your roof inspected by an expert. If you begin to notice areas of your roof that look like they may be teetering to one side, this could mean you have some major underlying damage. This can generally be attributed to roof rot. Once moisture persistently penetrates the surface of the roof, it can cause the structural integrity of areas to wither and rot. This is a more extreme case of damage that certainly requires immediate attention from an expert. Do yourself a favour and don’t ignore those annual inspections and maintenance tasks. They can go a long way towards extending the lifespan of your roof. And as you carry out those inspections, keep your eyes open for any of these warning signs of damage. Do you need roof repairs? 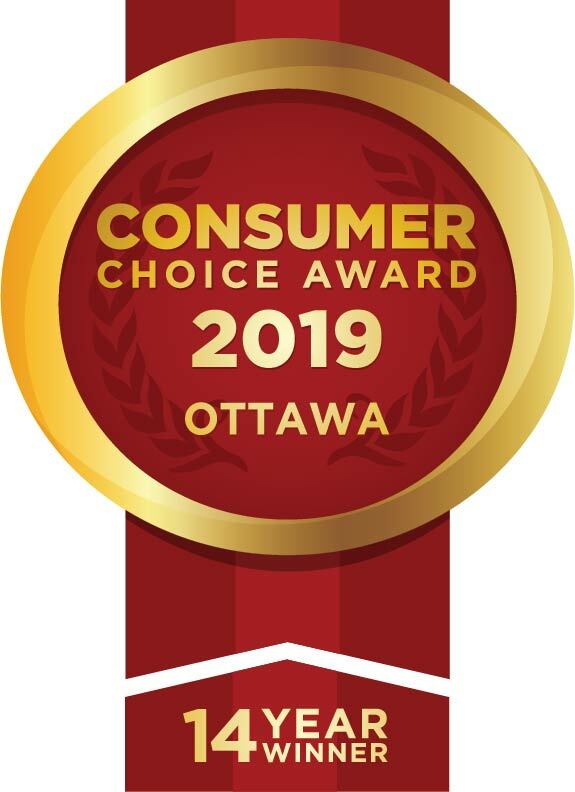 Roofmaster is the Ottawa roofing company you can trust. Roofmaster has been providing expert services including sloped roofing, flat roofing, siding, fascia, and soffit installation, repairs, and inspection since 1981.